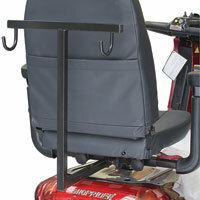 Contact your local dealer here for all your Shoprider Accessories. 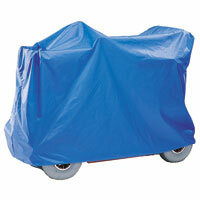 Sun shade and light shower protection. 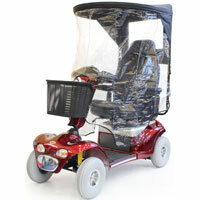 Sun and heavy rain protection - with a plastic sheet zipped to the sun shade. 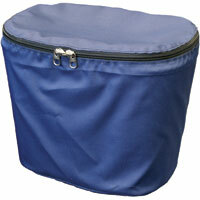 The Front Basket cover goes over the basket and can be locked (padlock not included). 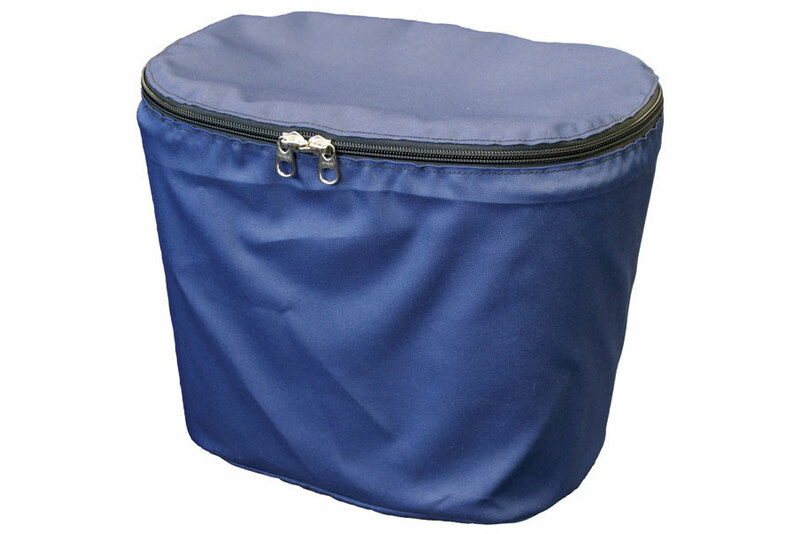 A large solid case that is detachable and lockable with a key. 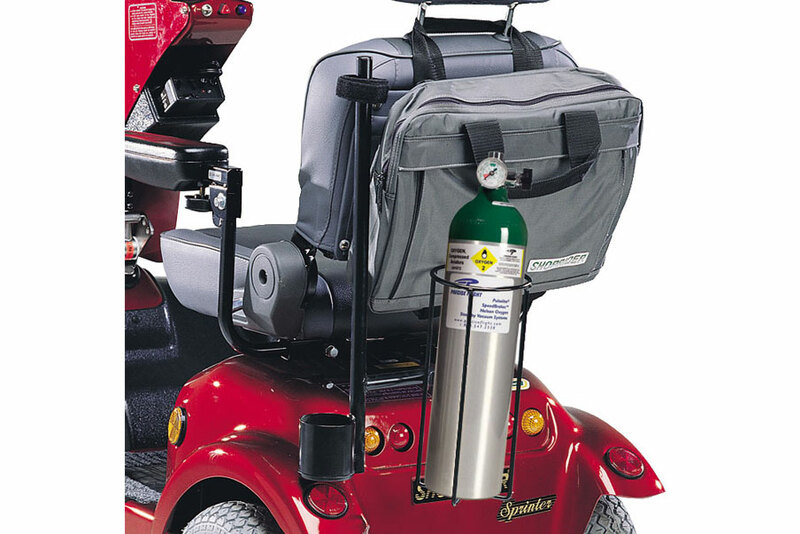 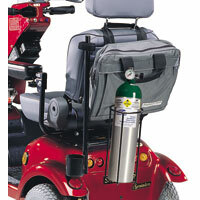 Oxygen bottle holder and soft bag mounted behind the seat. 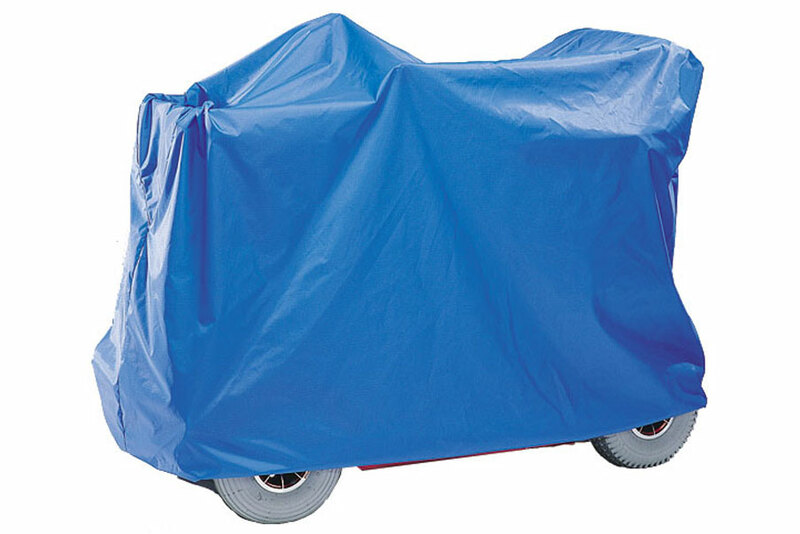 Dust protection for your scooter when in storage or not in use. 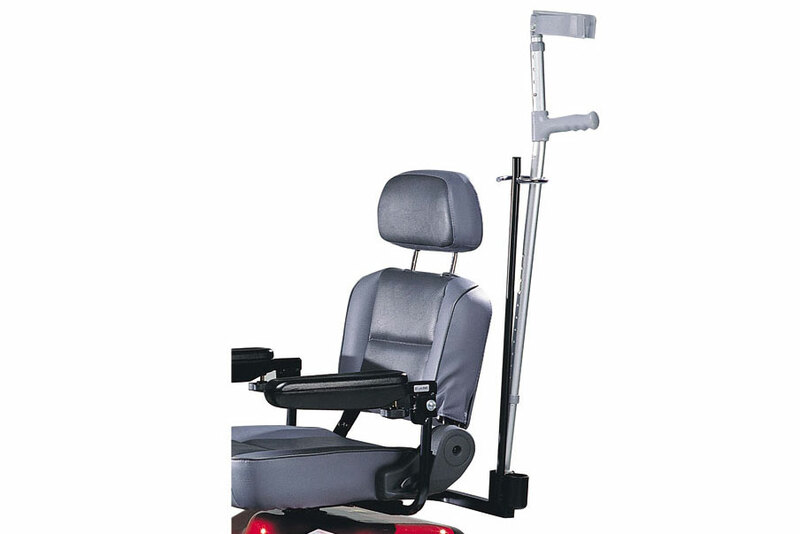 Carry your walking stick or crutches safely out of the way. 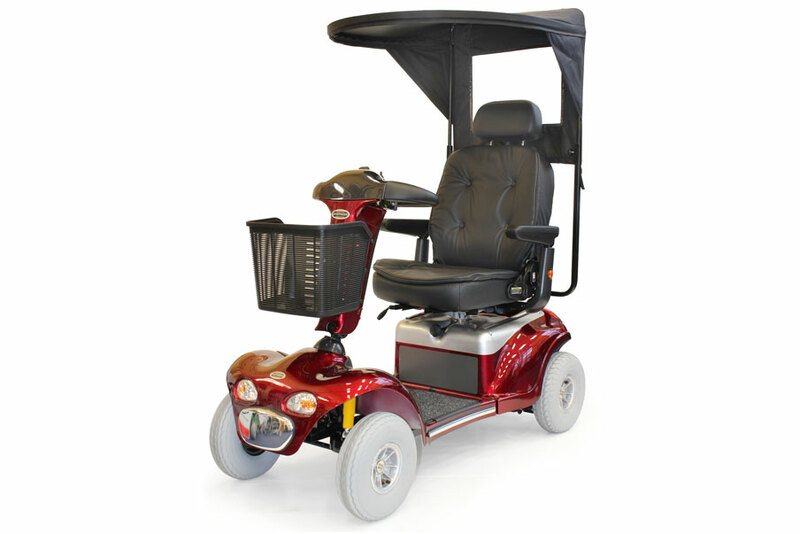 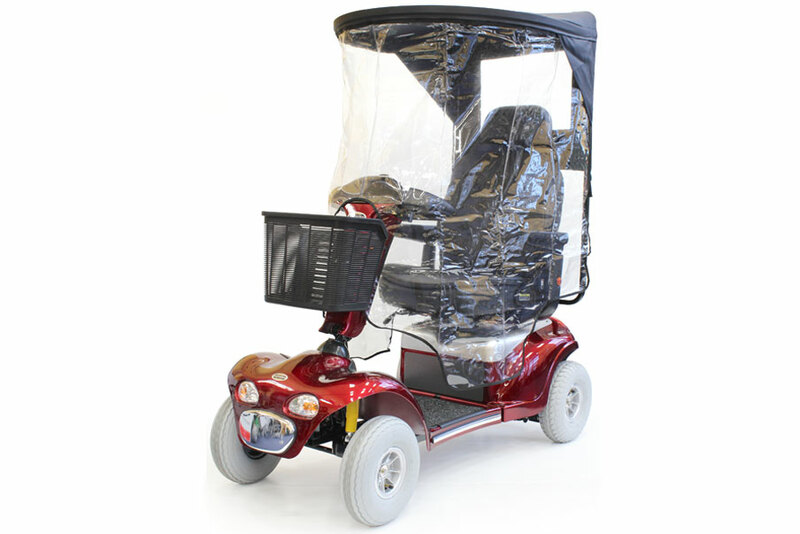 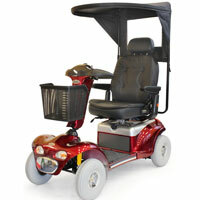 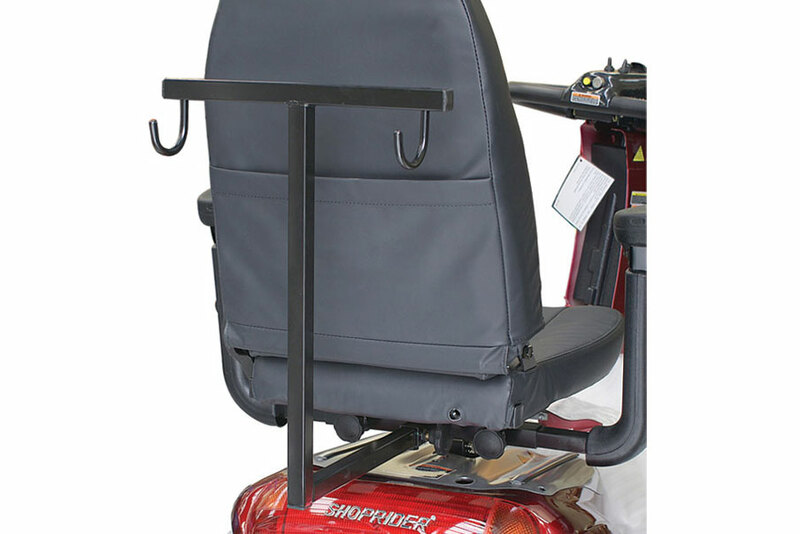 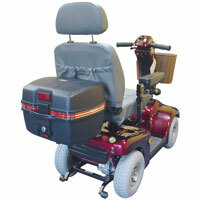 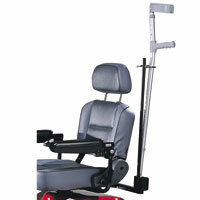 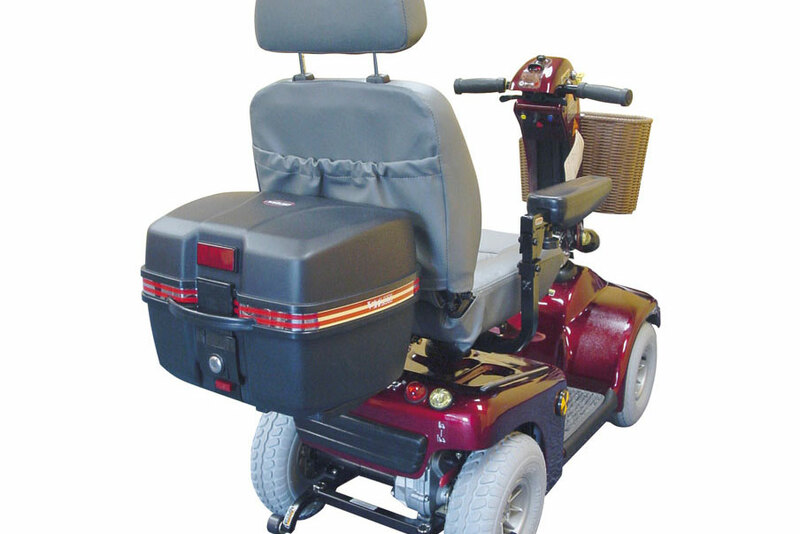 Hook your walker onto the back and take it with you while out and about. 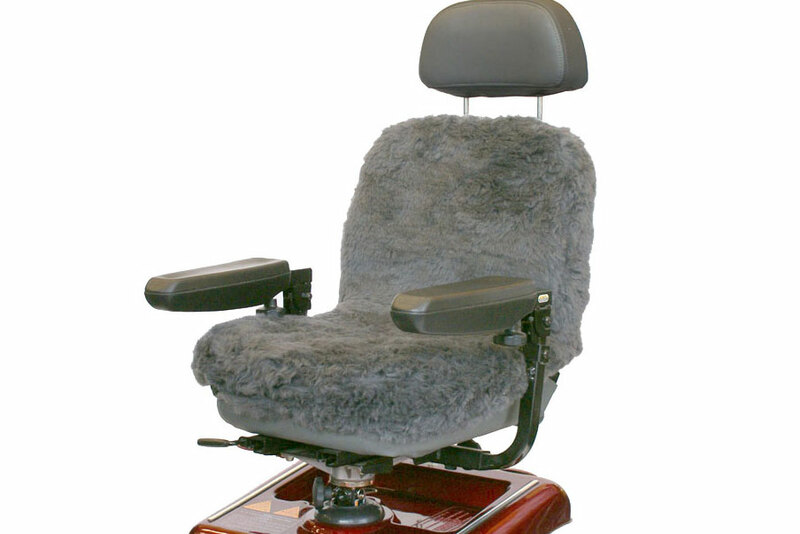 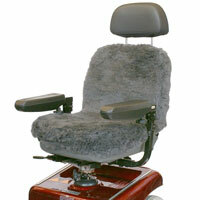 Stay warm and comfortable with a charcoal coloured washable sheepskin cover. 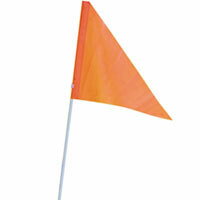 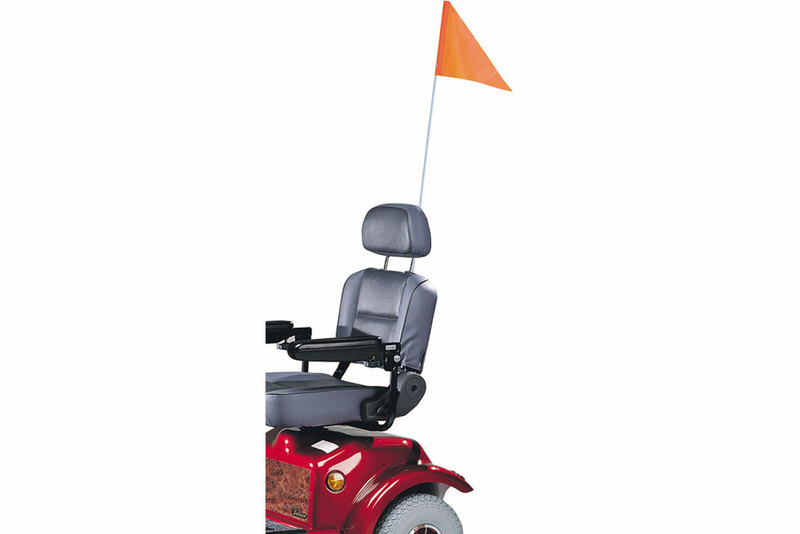 Be seen in the crowd and on the street with this bright orange flag. 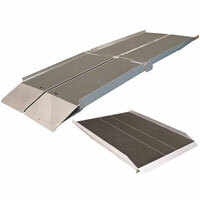 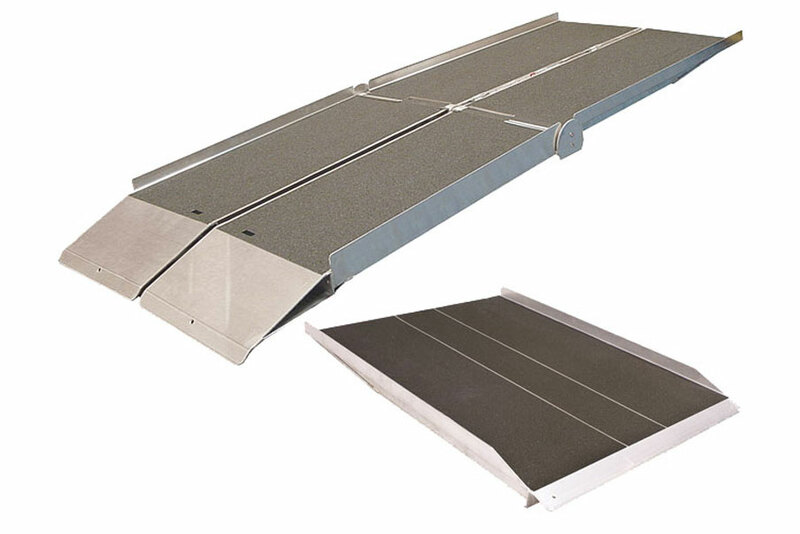 Threshold ramps, single span ramps and foldable ramps - aluminium.